HOW I ORGANISE MY WARDROBE | RAWR BOWS. Hello! I think I'm not the only girl out there struggling to keep her wardrobe somewhat clean and organised. When you get home, late at night and tired from work/school, you don't really care where you put your clothes or whether that cute top is folded or not. I will be the first one to admit that many days I just throw my clothes inside my wardrobe and hope that they will be magically folded the next morning. After Christmas, during exams, things got out of hand. My wardrobe was a real mess so once my exams were finished I decided to organise it properly. It now looks much better and it's easier to find what I am looking for. Here's what I did. THINK. Think about how you could organise your wardrobe. That is, if you have a rail think what you want to hang and what you rather fold. If you have drawers, think what should go in which drawer. Basically, think what's the most practical way to store your clothes. I hang all my jumpers, cardigans, long-sleeved t-shirts and some thin jackets and then fold everything else and keep it in my drawers or shelves. ORGANISE. There are different ways to organise your stuff. Maybe you want to organise it by colour, or by length or maybe both. I personally organise my clothes by colour as I usually know what kind of shades I want to wear that day and this just makes it a whole lot easier. THROW THINGS OUT. If when organising you find yourself holding a piece of cloth you had no idea you owned or something that makes you gag and don't even know why you bought in the first place, throw it out. If you haven worn it in a long period of time chances are you are not going to wear it anytime soon either and it's just taking up wardrobe space that you could be using for something else. ADMIRE. Now that everything is in place and your wardrobe is neat and looking nice, allow yourself a few minutes to admire your work of art. 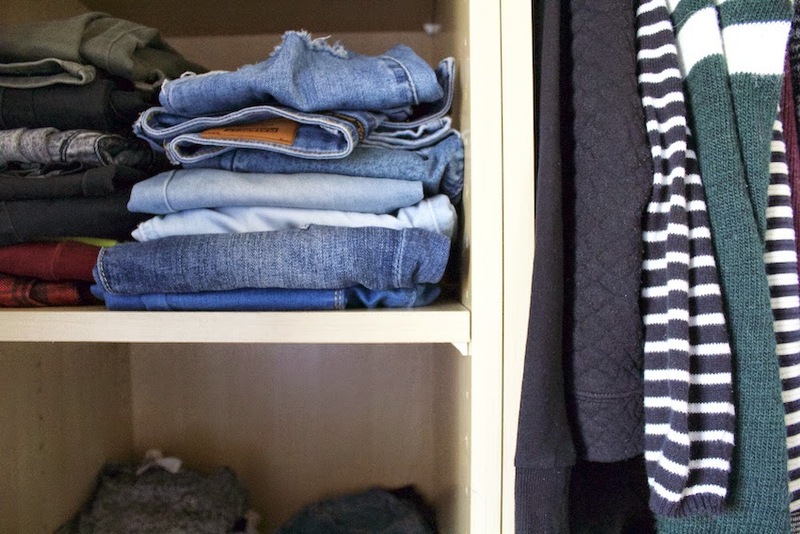 How do you like to organise your wardrobe?